Istria is often missed on travellers itineraries because it is the western most region of Croatia tucked away from Croatia’s major cities. Those that go find stunning views, heart warming food and wonderful hospitality. A trip inland is mandatory if you want to experience the best places to visit in Istria. The cultural experiences in the small towns of central Istria are a wonderful addition to the coastal tourist destinations of Rovinj, Pula and Porec. There are just so many things to see in Istria. Istria shares a border with Slovenia and as little as 50 years ago was a part of Italy, creating a strong Italian influence. In fact a large number of the best places to visit in Istria have an Italian feel about them. 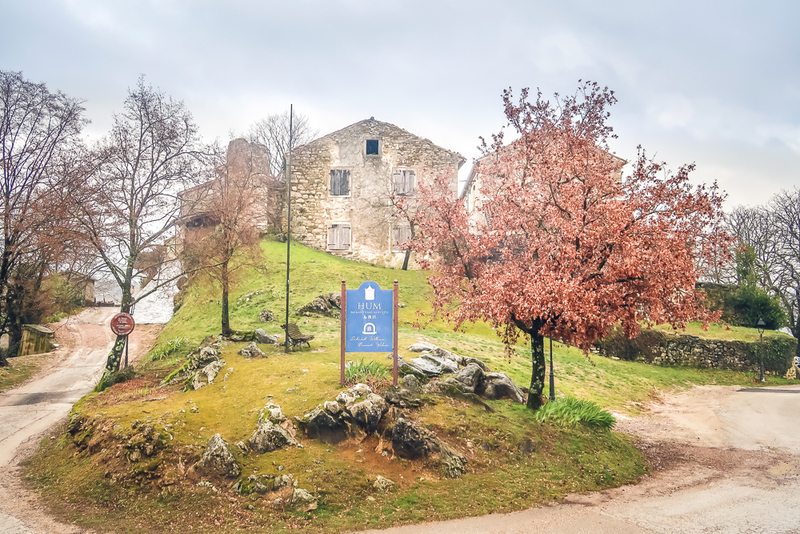 At find the map we would say Istria is a hidden gem, full of surprises and wonderful people. 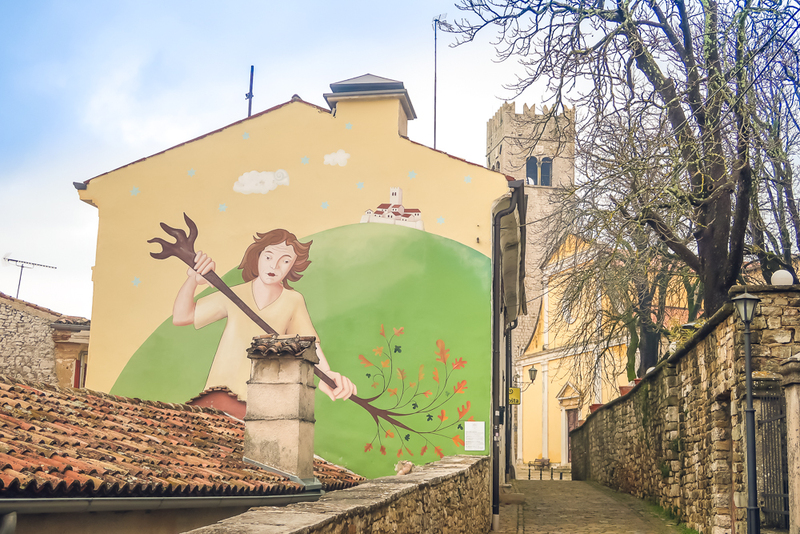 Two of the best places to visit in Istria are the small towns of Motovun and Hum. In fact, Hum is said to be the “Smallest Town in Croatia” with only 28 occupants making it a special destination to visit. Both are an easy drive from the coast. Take the trip and you will discover these two little towns that are tied together by the legend of the Giant and the aroma of Truffles. 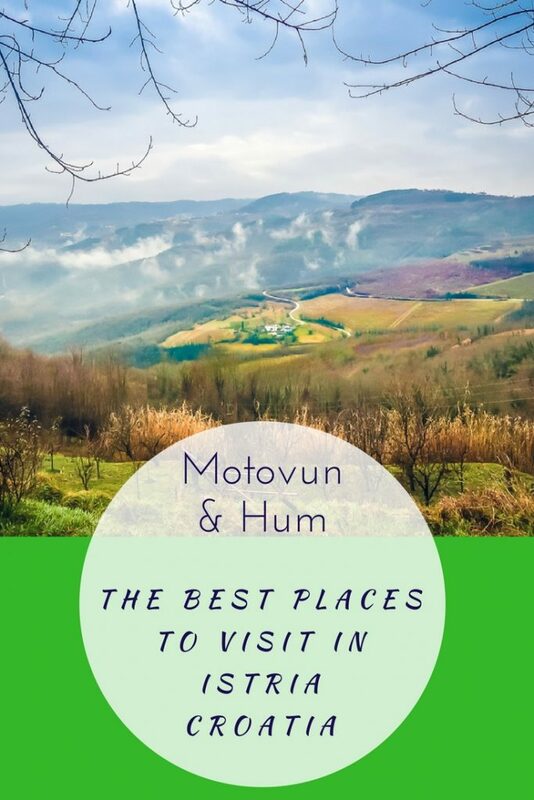 Motovun and Hum – How do I get there? Motovun is about 40 minutes’ drive (30km) from Poreč on the coast, Hum is an easy 35 minutes (35km) further on. The drive takes you off the main roads, away from the tourist towns and into the heart of the real Croatia. Driving the back roads is one of the best ways to discover Central Istria. 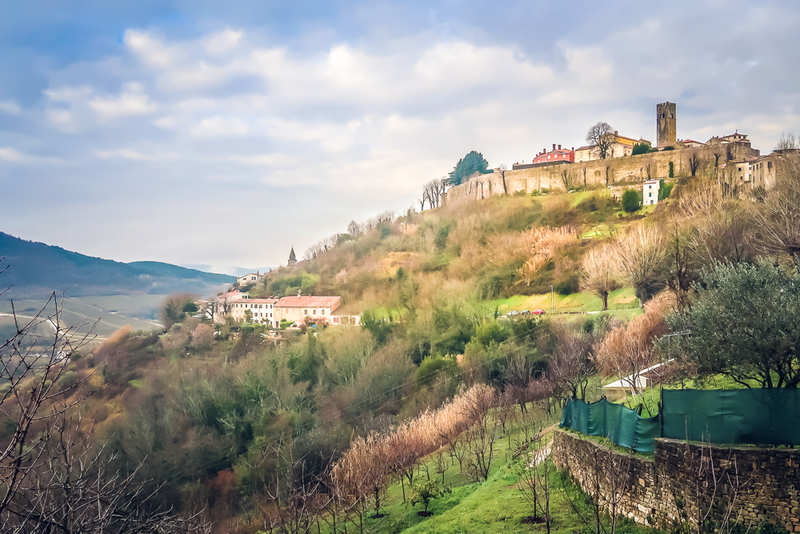 Motovun runs on the aroma of the Truffle or ‘Tartufi’ as it is known locally, making Motovun a real treat for travelers. Its’ main economic pursuit is the delicate black and more robust white truffles. 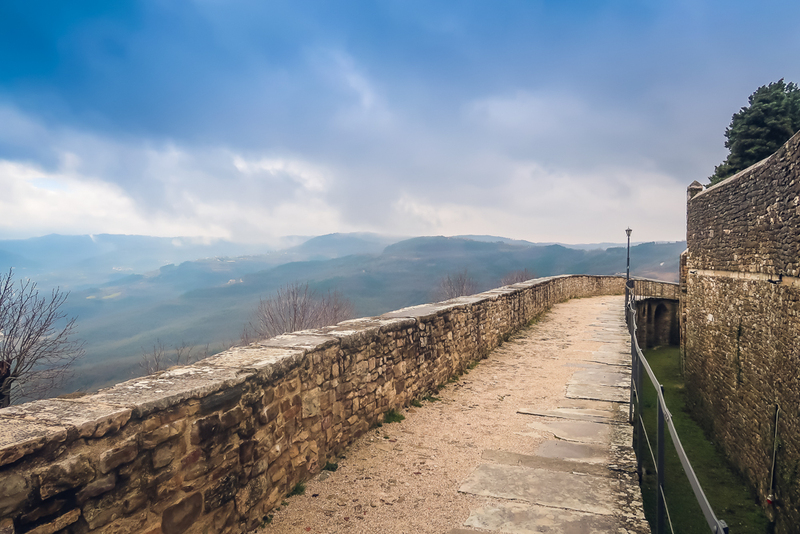 Motovun is a walled town on top of a hill which gives it elevated views of Central Istria. 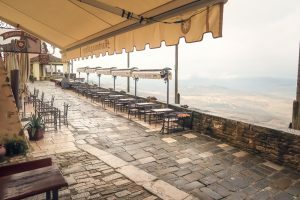 The produce, location, views and history make Motovun one of the best places to visit in Istria. High up on the hill overlooking the Mirna river on one side with perfect views on the other. Enjoy a truffle experience at one of the many truffle houses before eating at one of the old town restaurants while soaking up spectacular views of central Istria. 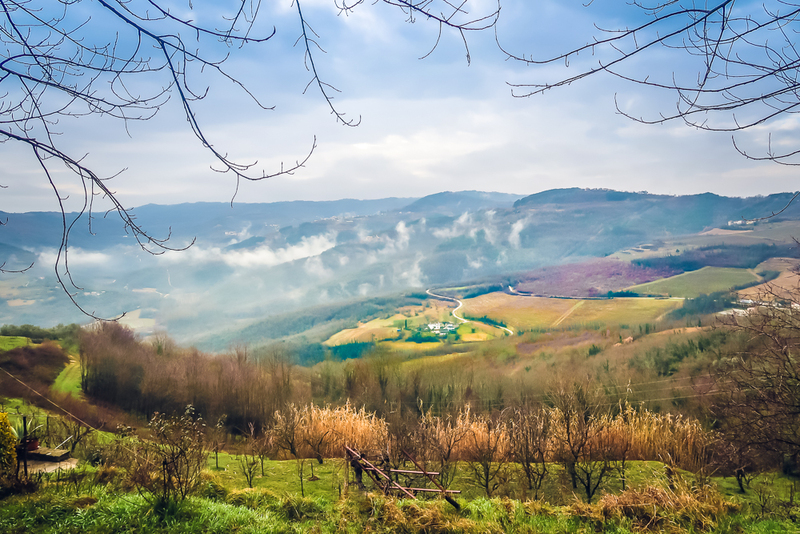 Motovun Forest: Where are the Truffles hiding? The Motovun forest lies on the far side of the river and hides a foodies treasure, the truffle. This is one of the most sought after delicacies of the gastronomic world. The Motovun forest is in a protected position with moist heavy soils, this is one of the secrets to the most delicious truffles. Truffles grow underground making them difficult to find without ‘man’s best friend’ the Truffle Dogs. These trained dogs are required to sniff them out, so you can gently dig them up. You can go truffle hunting in the Motovun forest under the guidance of experienced guide and their truffle hunting dogs. 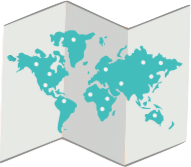 You must to book in advance as the real experience happens at night, meaning tours need to be planned. FTM Insiders Tip: If your keen to hunt for Truffles then we suggest booking a truffle hunting experience by seeking out one of the many tour operators like Agrotourism-tikel. We like this operator as they are well known for their natural produce including extra virgin olive oil, potatoes, various vegetables, pork, chicken, wheat for flour, homemade bread, fruits and jams. Their farm is linked to Motovun by a good bike path that will take you from Motovun directly to their farm. The farm also boasts nice views back towards Motovun old town making it a must see. We spoke to a number of locals about where the best places to visit in Istria are for produce and truffle hunting and they recommended Tikel. 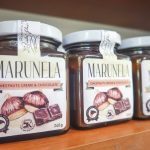 Where can I buy Truffles in Motovun? 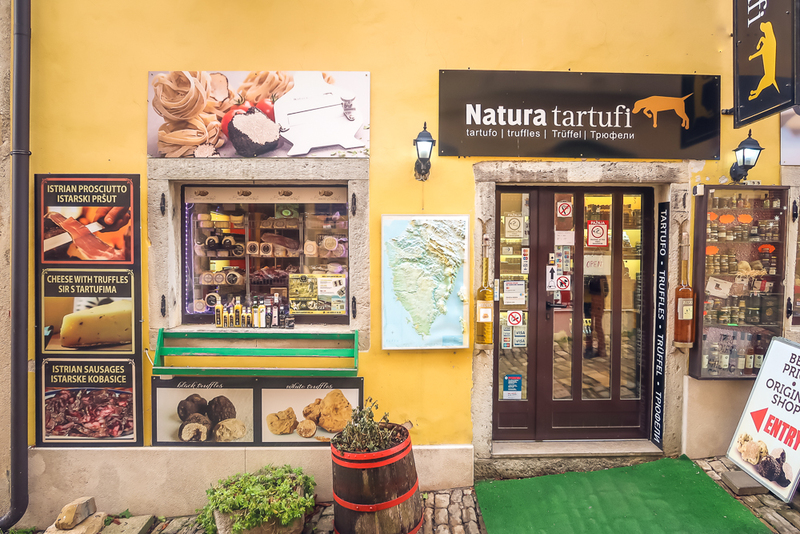 There are many places you can taste and buy truffle products in Motovun. We had a great experience during our visit at Natura Tartufi at Grad Iziol 10 Motovun. 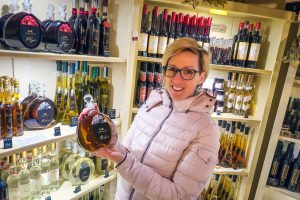 They have an incredible variety of Truffles, Truffle infused products and local liquors. 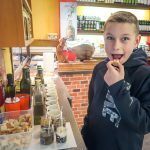 Taste test some amazing delicacies like, Truffle infused sausage and meat products, chocolate, cheese and even nutella. This was not only a hit with the adults but also the kids. Make sure you serve the nutella on warm bread or toast, the combination is amazing! The hospitality you will receive here is second to none. The owners love truffles so much they are always coming up with new ways to serve them. It’s impossible to leave empty handed because there are so many great products. 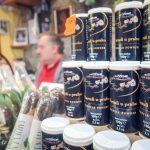 If you are based in Europe they can supply you with truffles all year round with their European delivery service. It is easy to see truffles as an un-affordable delicacy or a once off treat. We are travelling on a budget and found that within the range of products there were many affordable options. Many of the products like truffle oil or salt will last a long time and are great value for money. 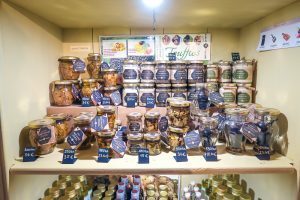 We purchased whole truffles on the day and were pleasantly surprised at the cost. There is a product for most people and most budgets. 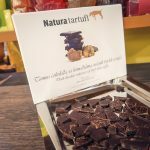 FTM insiders Tip: Pick up some truffles in Motovun and then download the delicious truffle recipes on the Natura Tartufi website. There are many simple dishes that are easy to make that will taste delicious. While researching the best places to visit in Istria, you will find mythical stories of giants that lived in the area. We struggled to find references to the Giant until we walked the walls of the old city. Make your way along the wall of the old city which wraps around town to catch a glimpse of big Joseph. Veli Jose or big Joseph had a heart of gold, his mission was to live freely. Maybe big Joseph was a traveler at heart just like you. Joseph’s story states that he built the tiny town of Hum with the stones left over from building Motovun. If you’ve come this far you must go to Hum which is another one of the best places to visit in Istria. Legend claims that the giant that first built Motovun used the leftover rock to create Hum. This tiny town is home to 28 residents, but despite its’ size its definitely one of the best places to visit in Istria. Hum is located 30 km from Motovun and is truly delightful. Wander down the main street and be sure to stop in at Colmo Souvenir Shop for a sample. 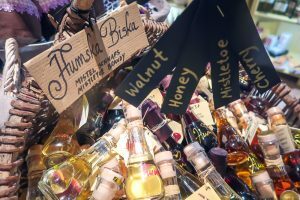 We found local fare of mistletoe liquor (Humska Biska), honey biscuits, cheese, truffles, turmeric honey and Nashe natural cosmetics. FTM insiders tip: Hum has a well-reviewed restaurant that is popular with tourists and locals. End your day trip with dinner in Hum spending an evening tasting local Istrian delicacies at Humska Kanoba. Funnily enough the restaurant has the email Hum@hum.hr the other 28 residents missed out on getting that exclusive email address. Glagolitic Alley is a popular summer walk. It is a 3km trail, dotted with 11 monuments honouring the ancient Glagolitic alphabet called the Glagolitic script. The walk takes you from Hum to the town of Roc and is popular in the warmer months. FTM Insiders Tip: Park you car or motorhome in Roc and walk the Glagothic Alley to Hum and back. We loved our day trip visiting these two unique towns in central Istria which are tied together by the legend of Giants and Truffles. Motovun and Hum are part of our best places to visit in Istria. If your looking for itinerary ideas off the beaten tourist paths, these are two of the best places to visit in Istria. 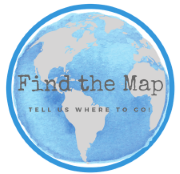 Find the map and go on your own adventure! Found this post helpful? Pin to read again later.